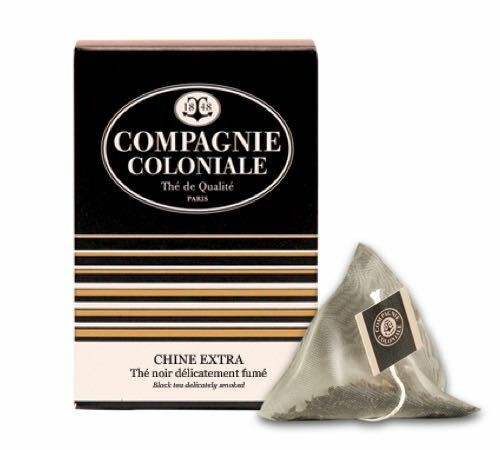 Box of 25 pyramid bags of "Chine Extra black tea" by Compagnie Coloniale. This exclusive blend of black tea will seduce you with its delicate smokey notes. Can't get to sleep? Teapigs have created a herbal tea with sweet and floral notes : apple, lavender and chamomile. To help you fall asleep as soon as your head hits the pillow ! 1 box of 15 loose tea bags.